Learn how to recognize non-suicidal self-injury and what you can do to help. 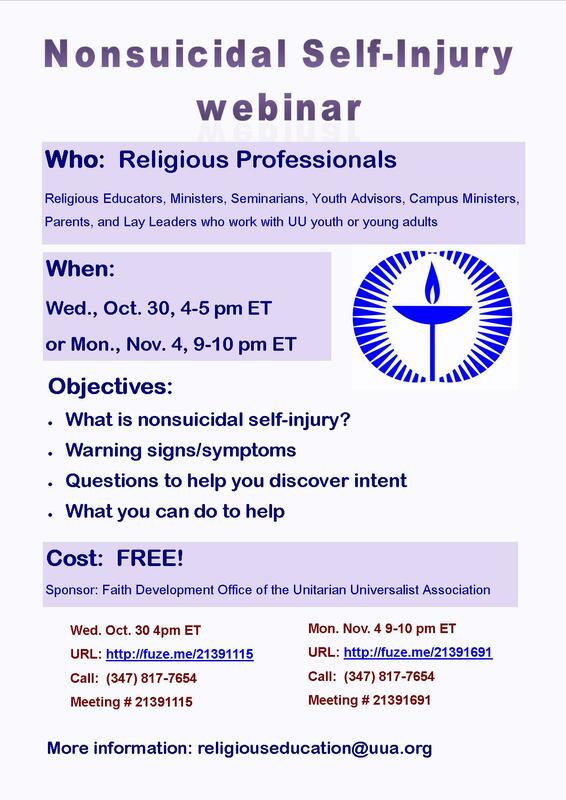 From the Faith Development Office of the Unitarian Universalist Association. Monday, November 4 from 9-10PM Eastern. View the original post on Living Mosaic.